Bangor is a glorious town in North Wales, having one of the oldest piers in the North and the world, it has been up and running for many years, 116 in fact. 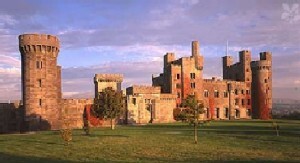 It reaches out half way to the Isle of Anglesey (1500ft – 458m). It has survived all sorts of attacks, yet we haven’t had the pleasure of hog roasting on it yet, but we will do in due time. Bangor has a vast amount of attractions and landmarks dating back decades and decades. Museums, cathedrals, churches, pubs, galleries and more, its ancient history still flows within the whole town and community. We hope to maybe do a Bangor hog roast for all of them; promoting them and our business in the process. I feel a hog roast is perfect for all of the buildings and businesses since it fits perfect. A hog roast was originally in the medieval times with cathedrals, churches, plus meat and a pint is all what a man wants. Treborth Botanic Garden is a pleasure to visit with a vast range of beautiful flowers which smell and look heavenly. If you are in the area or love flowers or even want to treat your partner or family Treborth Botanic Garden is the place to go, it is a wonderful setting for a family get together with a gazebo amongst the flowers and your pig slowly roasting in the picturesque gardens. Some of the sites to see are just truly amazing is Bangor and to hog roast near them gives us great pleasure we have also hog roasted for some museums openings, theatres and many more grand places within Bangor. 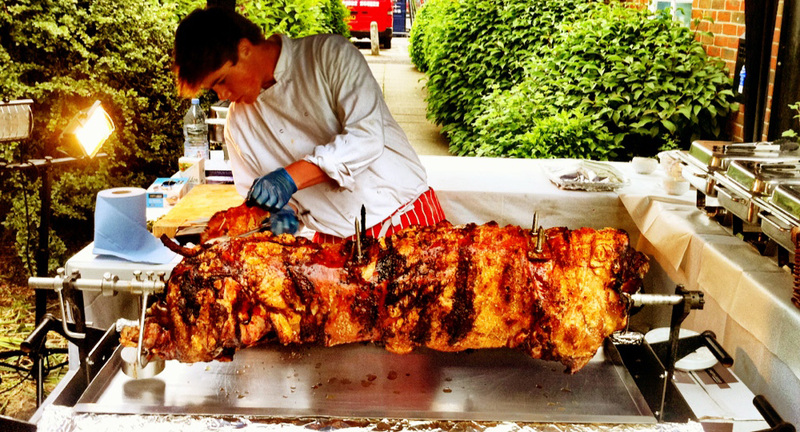 We did a hog roast for a restaurant and they were so impressed we now regularly hog roast for them and are always ready for when they have a big event going on. Hog roast Bangor has a great set up our aim is to get more people to hold a hog roast Bangor catering party and more importantly tell all their friends about our super service. Hog roast Bangor is a wonderful outdoor summer barbeque party option or even a winter warmer. Although a hog roast may be the traditional choice at many events; vegetarians are never forgotten about. A recent event saw us cater for 70 guests of which 22 were vegetarians. The customer had requested a BBQ with handmade British beef burgers, local pork and leek sausages, spicy marinated Chicken winglets & Blue cheese dip and chicken kebabs & meaty marinated spare ribs for the meat eaters and vegetable burgers, sausages and grilled vegetable skewers for the vegetarians. All the food was served with a selection of sauces and fresh rolls. Hog roast Bangor has gained a great following with all the events that we have catered for in the recent months and all we can really hope for is the increase in the future it’s been a great ride, with bookings endless it is becoming increasingly harder to secure a place so if you have any special occasion that is coming up soon its best to get in touch as soon as possible we would love to be responsible for make your days a great success as we strive to achieve great things with every passing job. Don’t leave it to the last second get in touch by email or phone now you won’t regret it.